Manabu Yukawa, the physicist known as 'Detective Galileo,' has traveled to Hariguara, a once-popular summer resort town that has fallen on hard times. He is there to speak at a conference on a planned underwater mining operation, which has sharply divided the town. One faction is against the proposed operation, concerned about the environmental impact on the area, known for its pristine waters. The other faction, seeing no future in the town as it is, believes its only hope lies in the development project. The night after the tense panel discussion, one of the resort's guests is found dead on the seashore at the base of the local cliffs. The local police at first believe it was a simple accident-that he wandered over the edge while walking on unfamiliar territory in the middle of the night. But when they discover that the victim was a former policeman and that the cause of death was carbon monoxide poisoning, they begin to suspect he was murdered, and his body tossed off the cliff to misdirect the police. As the police try to uncover where Tsukahara was killed and why, Yukawa finds himself enmeshed in yet another confounding case of murder. 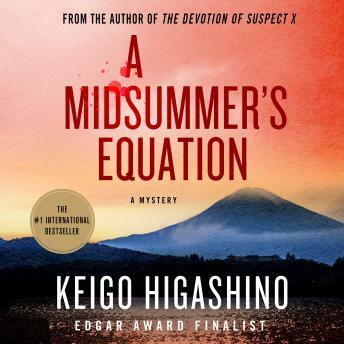 In a series of twists as complex and surprising as any in Higashino's brilliant, critically acclaimed work, Galileo uncovers the hidden relationship behind the tragic events that led to this murder.